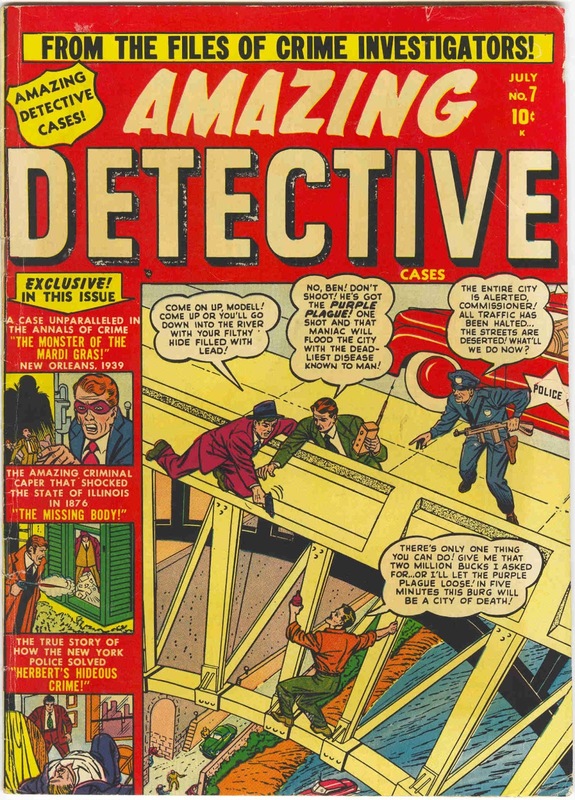 The question today is "Why did AMAZING DETECTIVE CASES start with #3?" MARVEL MYSTERY COMICS #92 becomes MARVEL TALES #93. 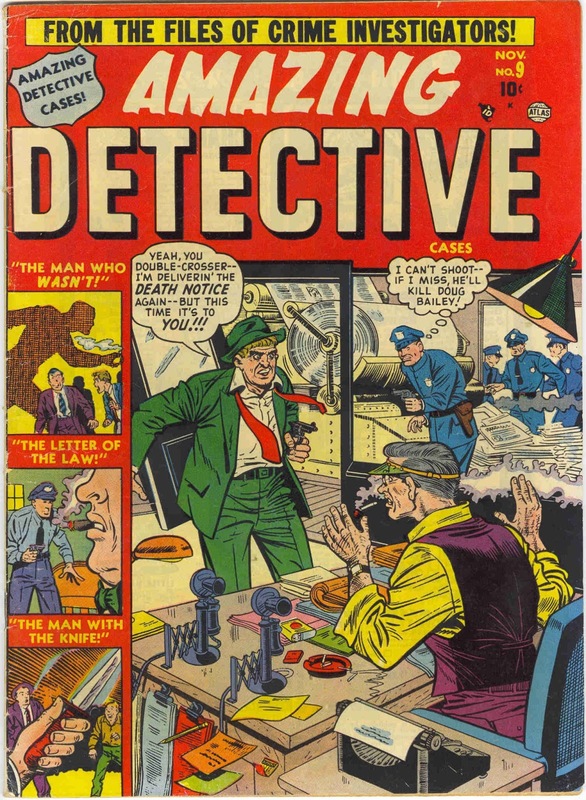 AMAZING COMICS #1 becomes COMPLETE COMICS #2. RUGGED ACTION #4 becomes STRANGE TALES OF THE UNUSUAL #5. ALL SELECT #11 becomes BLONDE PHANTOM #12. GIRL COMICS #12 becomes GIRL CONFESSIONS #13. 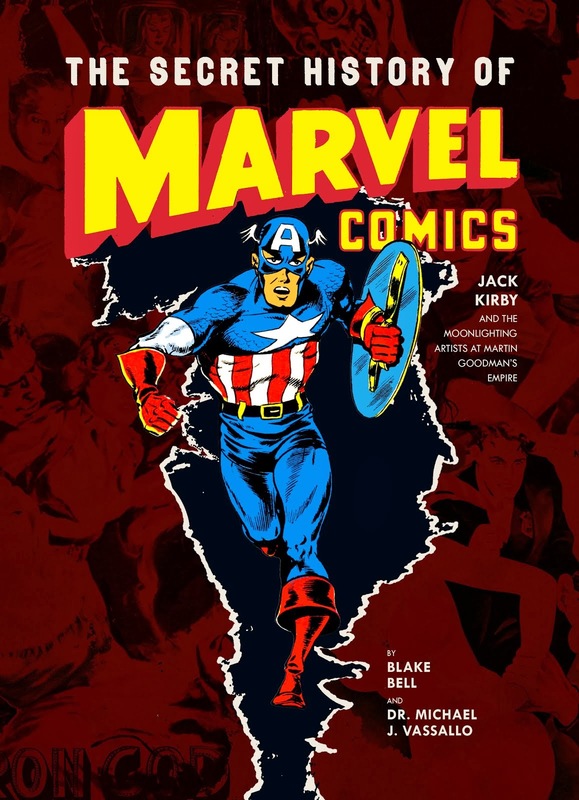 Fans and historians frequently also made guesses as to where some of the other new titles spun off from based on looking at what titles were running concurrently and then choosing the title with the closest number to the number of the new title's first issue, imagining the new title "spun off" from there. Often the jump is a real stretch of the imagination as there could be 6-9 months between the former number and the spun off number. A second way some have tried to unravel this was to go by the company mentioned in the indicia. For his entire publishing career, Martin Goodman used scores of different company names as a way to shield himself against liability if he got into trouble with a particular title. So searching concurrently published titles and comparing company names was thought to be another clue to determining where a new, weirdly numbered title hailed from. There is a third way of looking at this mystery, a way that takes the onus away from the comic books themselves and places it anywhere and everywhere around Martin Goodman's publishing empire. The first clue of this came to me a few years ago. 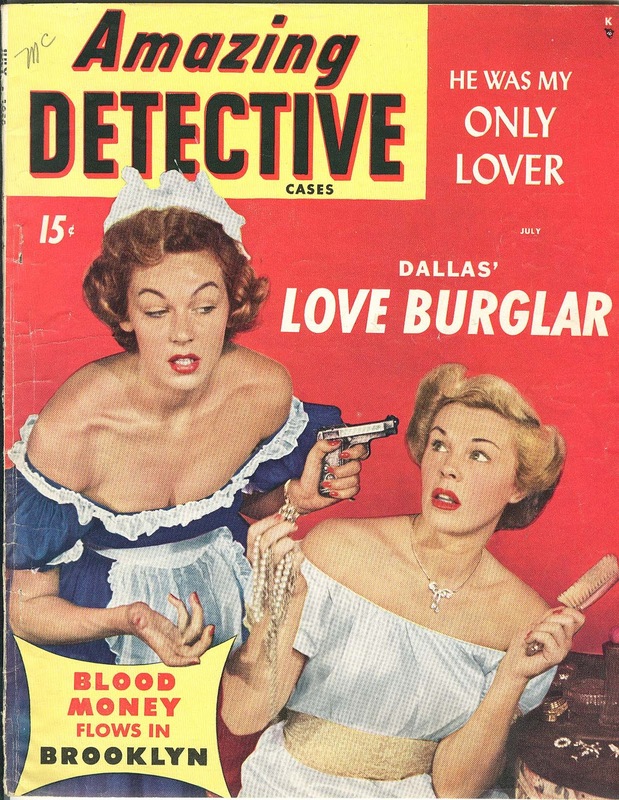 I collect Goodman's true-crime magazines enthusiastically. 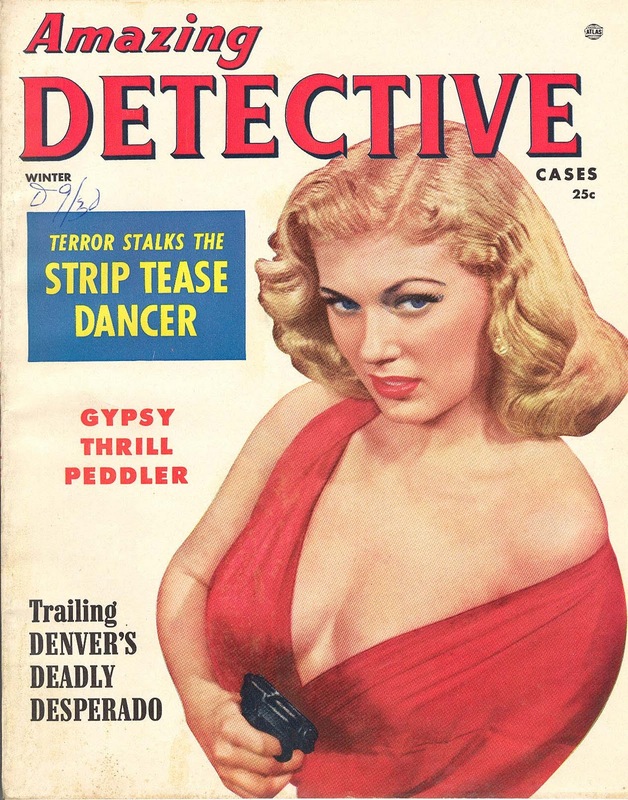 The reason is that I look for illustrations that comic book artists may have drawn while moonlighting over in different parts of the company, be it magazines or pulps. I've put together long, near complete runs of COMPLETE DETECTIVE CASES, AMAZING DETECTIVE CASES, NATIONAL DETECTIVE CASES and EXPOSE` DETECTIVE CASES in the process. One of the strangest things I noticed after 20 years of collecting these was that not a single "volume one" issue of COMPLETE DETECTIVE CASES seemed to exist. The title appeared to start with Vol 2, #1 (Dec/39) and continued through 14 volumes into 1953. 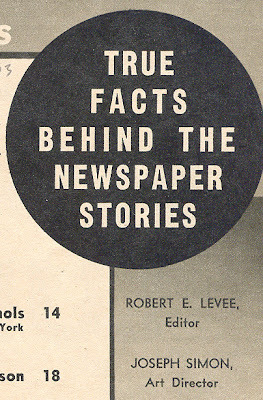 In 1951 and 1952, for a brief period, the format changed to an over sized "bedsheet" format before reverting back to a standard magazine size. This makes finding 1951 and 1952 issues extremely difficult as the larger sized issues didn't survive as well into the present day. 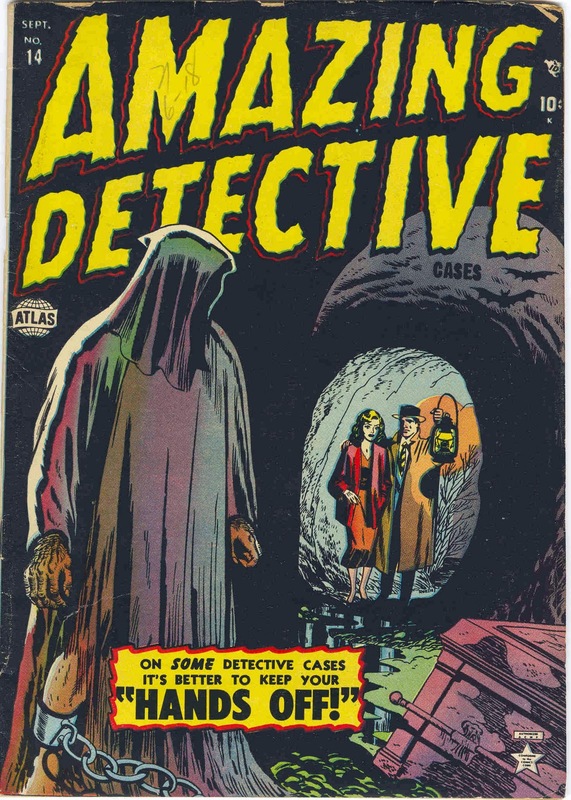 But where was COMPLETE DETECTIVE CASES volume 1? They were nowhere to be found. At some point I just chalked it up to an unsolvable mystery and forgot about it altogether. 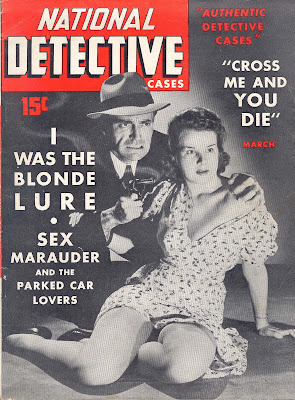 Then one day I was looking on my shelf of Goodman pulps and saw my copy of the lurid COMPLETE DETECTIVE Vol 1, #1 (May/38) [with a great Norman Saunders cover!] and a light bulb went off in my head. 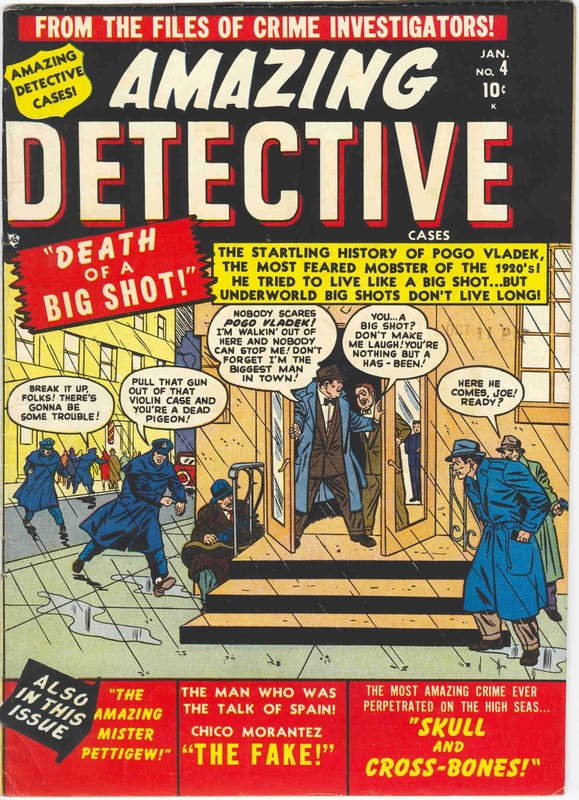 I frantically checked out the COMPLETE DETECTIVE publishing history and saw that 6 total issues had been published before cancellation ( I had 3 of them). 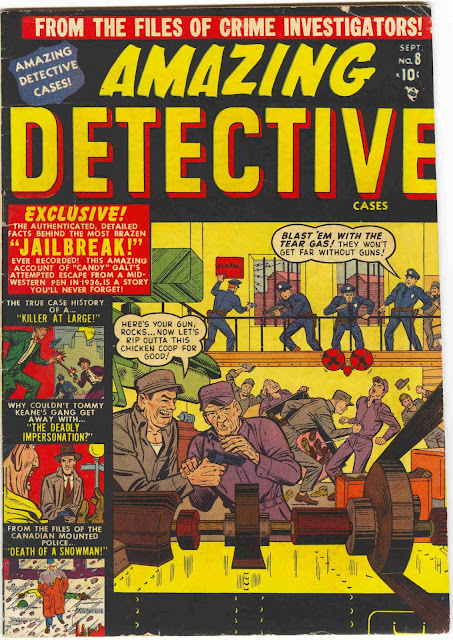 The very last issue was Vol 1, #6, cover dated Oct/39 Bingo! I had the answer before me all along! 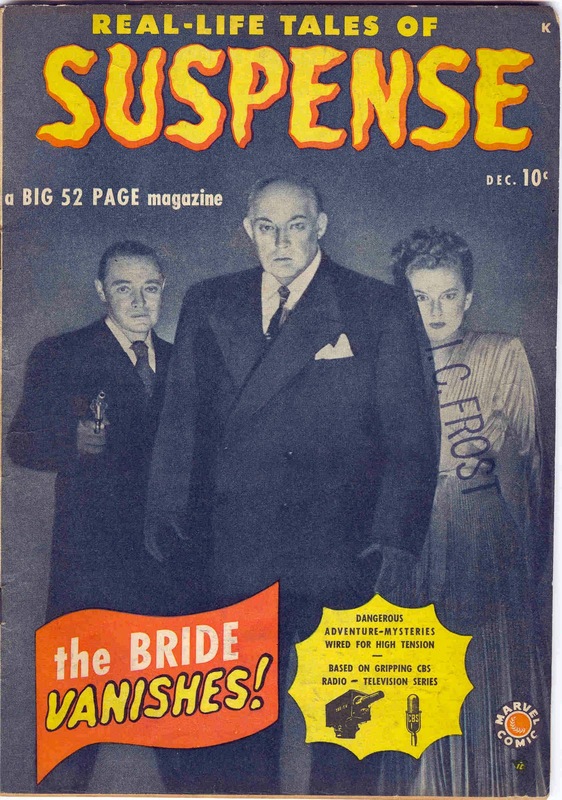 Volume 1, #6 (Oct/39) of the pulp had become Vol 2, #1 (Dec/39) of the magazine. So what does this have to do with AMAZING DETECTIVE CASES? I'm going to explain. 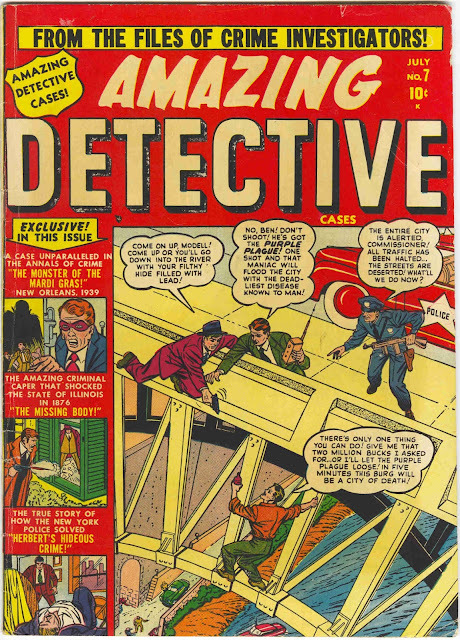 The name AMAZING DETECTIVE CASES conjures up a different image in the mind of different types of collectors. The pulp enthusiast will recognize the name as one of the longest running true-crime magazines of the 1940's and 1950's, actually lasting into the early 1960's, published by Martin Goodman. 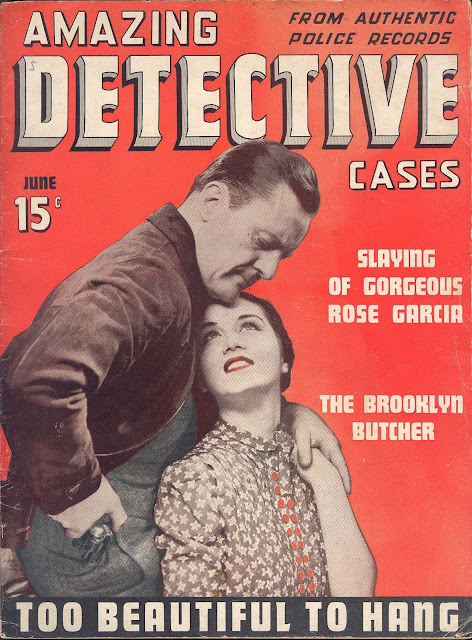 AMAZING DETECTIVE CASES was the second such true crime magazine published by Goodman, coming on the heels of the aforementioned COMPLETE DETECTIVE CASES, with Vol 1, #1 cover dated June/40. 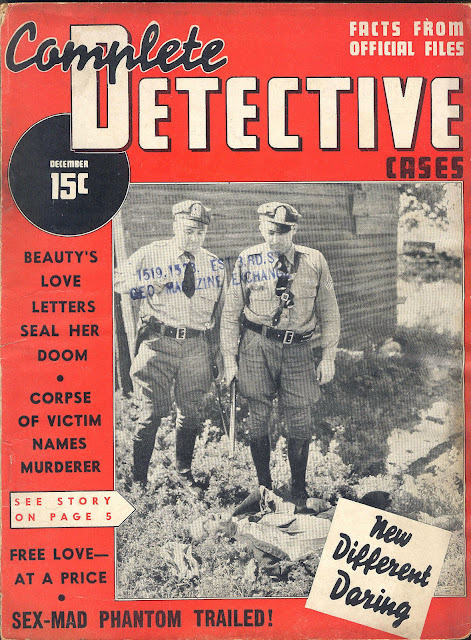 An interesting aside to both these titles is that the Art Director of both mags, as well as to a third title, NATIONAL DETECTIVE CASES Vol 1, #1 (May/41), for a span of about 13 months (cover date Nov/40 to Dec/41), was Joe Simon. The comic book enthusiast recognizes the name as one of the myriad crime comic titles that burst onto the newsstands during the "second wave" of the Timely/Atlas crime comic surge. Starting cover date Aug/50, six new crime comic titles debuted within a five month period. 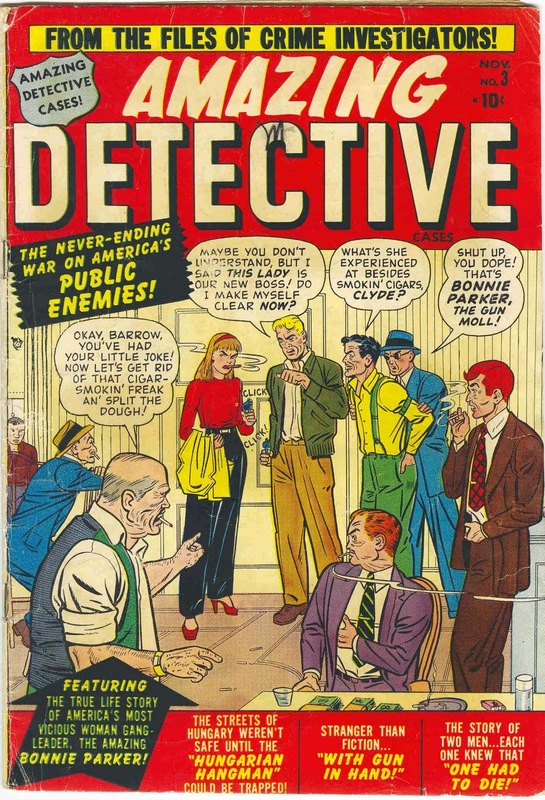 One of these was AMAZING DETECTIVE CASES, which started its run with #3 (Nov/50). So I ask the same question I asked at the beginning of this post..... "Why did AMAZING DETECTIVE CASES start with #3?" With the background reasons I gave above, the usual thought went to looking for a comic title close enough to "spin it off". The suspect has historically been SUSPENSE #2 (Feb/50) for the reason that it's the only crime comic with a #2 close by (and the title changed to horror with #3). But this is ridiculous. 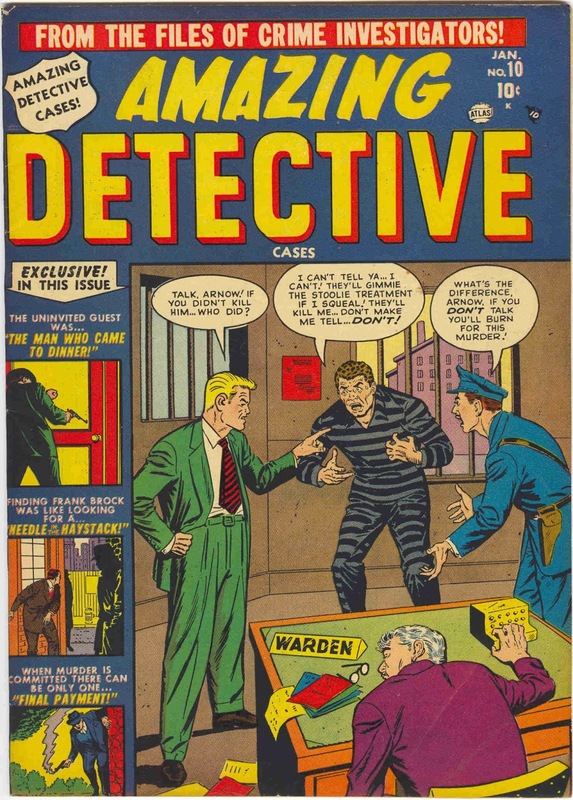 There's a 9 month interval between SUSPENSE #2 (Feb/50) and AMAZING DETECTIVE #3 (Nov/50). It's not impossible but it never smelled right to me. Once again, the answer was right in front of me all along! A look at the publishing history of the crime magazines shows that the Goodman true crime mag AMAZING DETECTIVE CASES ran from Vol 1, #1 (June/40) to Vol 10, #2 (July/50). For the first time, this very week, I realize that the magazine then went on a hiatus. 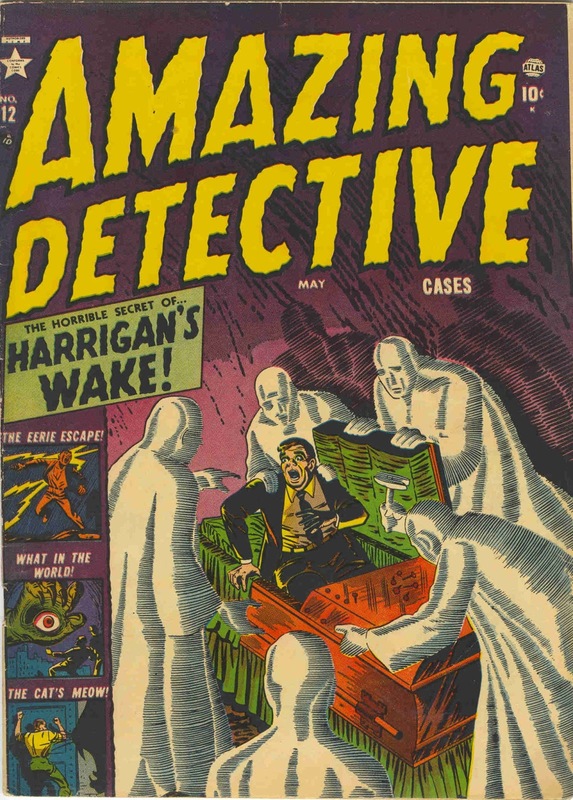 The comic book AMAZING DETECTIVE CASES then starts with #3 (Nov/50) and runs through #14 (Sept/52), with the last 4 issues changing over to pre-code horror before cancellation. 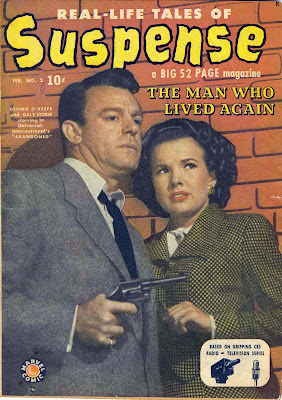 Then, and only then, does the true crime magazine come back, without missing a beat, as Vol 10, #3 (Winter/53), before continuing on into the 1960's. So the mystery of the Atlas AMAZING DETECTIVE CASES has been solved. It also opens up new avenues to track many other similar Atlas title numbering mysteries. But not today. Can we hypothesize then that Best Western #58 will have a similar sort of antecedent? Doc Botany: certainly folks like Mike Tiefenbacher suggested that back in the (gulp) 1980s, as Goodman did have a Best Western pulp. Not enough pulp collectors collect it for us to know if ran 57 issues or not, or when it stopped publication. Doc V: Bravo for writing finale to these two questions. I collect BEST WESTERN pulps. 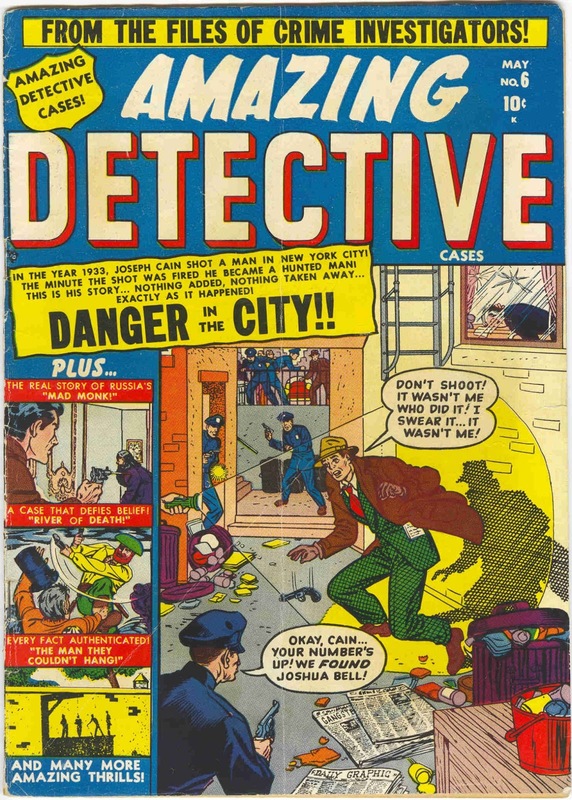 It ran 5 volumes from 1935 to 1949, approximately 38 issues, and then picked up again in 1952 as Volume 2 again. The BEST WESTERN comic #58 (June/49) does fit in at the approximate end of the initial pulp run but the number is all wrong. 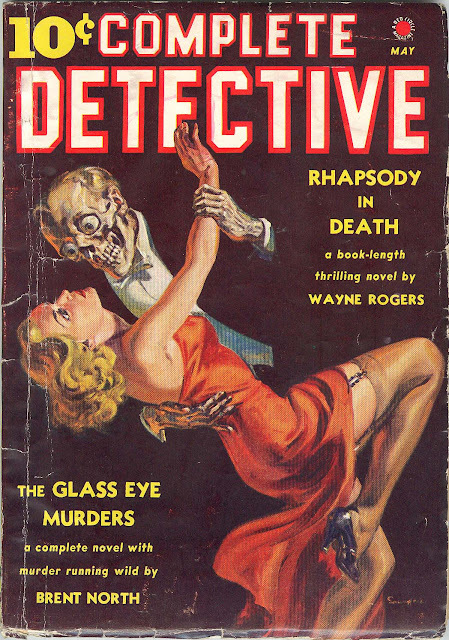 Goodman seemed to never run same named pulps and comics simultaneously. One would go on hiatus and then a different format would take over. 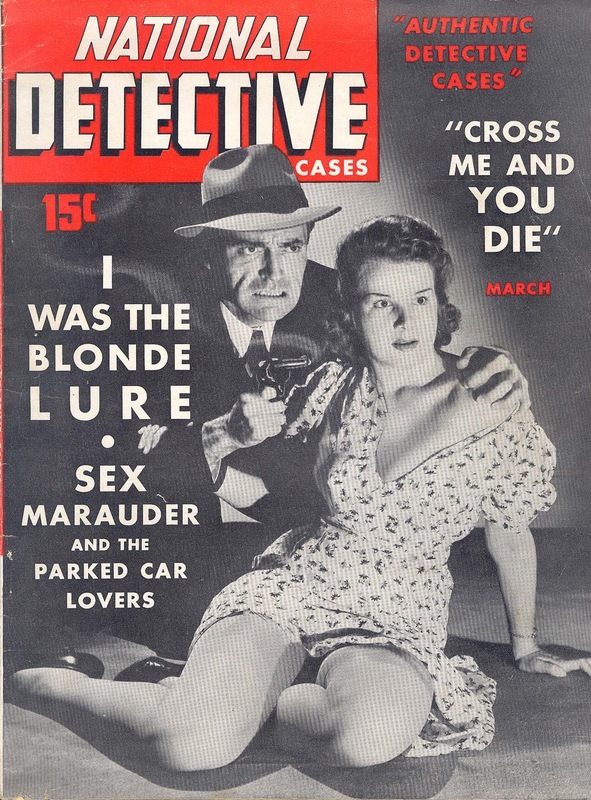 Very "interesting aside" there with National Detective Cases Vol1 #1. Does it strike anyone else strange to see that title from Martin Goodman? 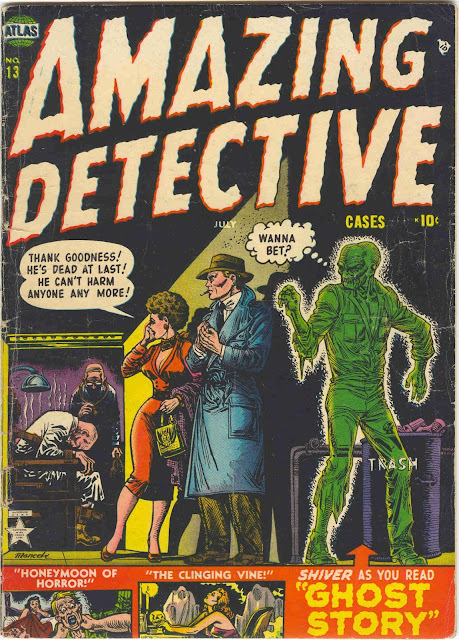 A fantastic post, and I'm pleased to discover this blog as a fan of comics, pulps, and magazines. 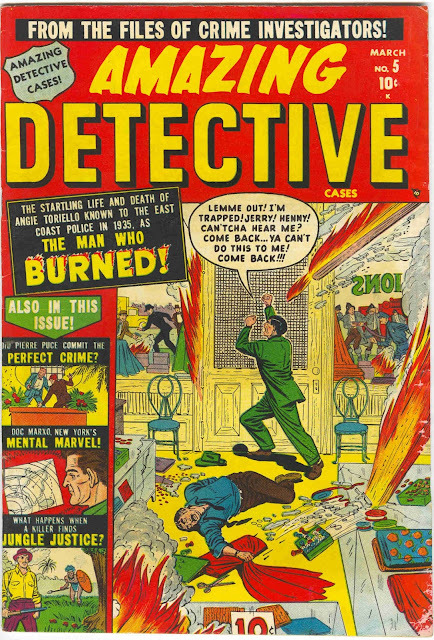 I'd never have connected the Complete Detective pulp in numbering to Complete Detective Cases magazine or the Amazing Detective Cases true crime mag numbering to the numbering in the comic, as the disconnect in formats is just too blinding. It's satisfying to see at least a little sense made of Goodman's notoriously erratic numbering. 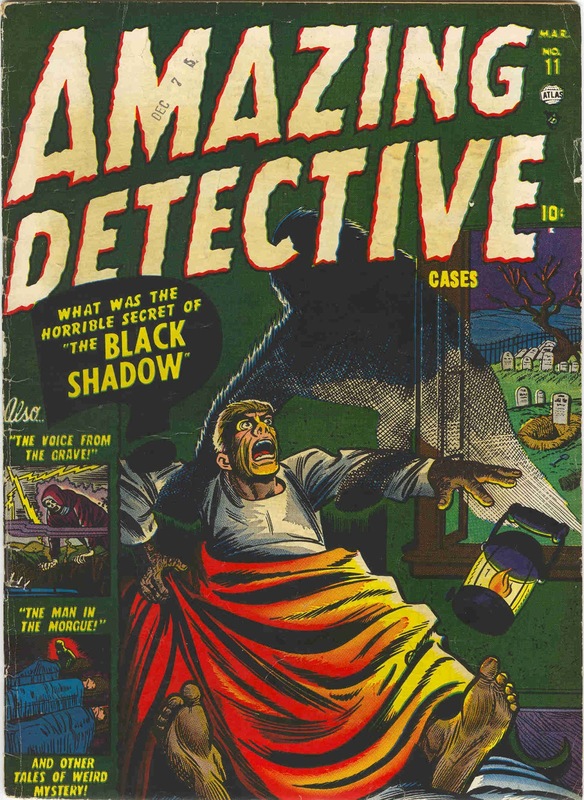 I very much enjoyed your series of posts on Marion Sitton, and it's fun to learn more about an artist who I recognize from many golden age comics and to learn what he did later in his career. I've added this blog to my "follow" list and look forward to reading more of your insights into Goodman's publishing empire. Thanks, Darwination! I checked out your page above and I believe those illos could be by Jack Kirby. Kirby is all over these Simon-edited Crime mags and pulps. I'm keeping the illos from these mags to a minimum because I'm planning a book featuring all these comic artist illos moonlighting in Goodman non-comics.